Add life to your boat (and everything else for that matter). 303 UV Inhibitor is the choice of river professionals to make their investment last. Developed for NASA, 303 UV Inhibitor minimizes damage and fade of your equipment from harmful ultraviolet rays. 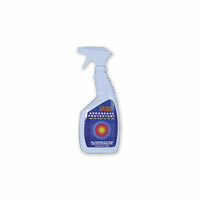 Rubber, plastic, vinyl or polyurethane, 303 UV Inhibitor is the product manufacturers recommend most.